Buying In Spain: Could moving to Spain be a dream come true for you? Many people dream of buying in Spain – flights are generally economical and take a little more than two hours, the quality of life (and the wine!) is very good, plus property prices are very reasonable compared to much of the UK. But while some dream, others turn it into a reality. You may be surprised to find that a second home in sun-drenched Spain could be within your reach. While living the UK has its high points, the weather and the warm beer aren’t among them. This could explain why there are more than 2.5 million online searches for property in Spain from British residents each and every month, according to Rightmove’s research. These property seekers are looking for a balance between affordable plane fares and short flight times so they can enjoy a long weekend away or a permanent move but be able to head back to the UK at short notice for work or to see family and friends. The top destination for British property-seekers is – sunny Spain! The average price of property these bargain-hunting Brits are seeking is €156,940, which won’t get you much – if anything at all – in many parts of the UK. Rightmove has also found that the most popular locations for Brits seeking holiday homes abroad tend to be in the top holiday hotspots too. So which is the most popular destination? Alicante and the Costa Blanca resorts of course. Alicante has the most of those 2,513,374 enquiries a month with people searching for an average price per property of €126,054. Mallorca is second with an average price search of €397,813 while Malaga comes in third where the average enquiry price is €191,830. What’s so attractive about Alicante? With about 320 days of sun each year and an average temperature of 29oC in August and 11o in January, it’s no wonder the Alicante region is so appealing. Plus many budget airlines such as Ryanair, EasyJet, Monarch and Norwegian fly into Alicante airport, which is the fifth busiest airport in Spain, so it’s easy to get to. or simply sampling yoga on the beach; horse-riding in the mountains; paragliding; rock climbing; stand-up paddle and so much more. It’s a paradise for food lovers too. 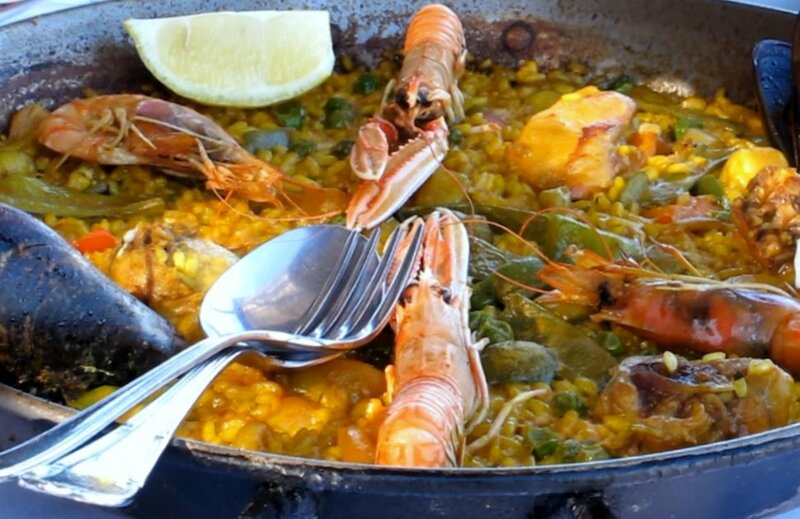 You can visit the markets to buy the finest selection of fresh shellfish and fish, such as the special Denia red prawn, or head to the restaurants to sample some of the many rice dishes including paella and arroz a banda (rice cooked in fish stock). 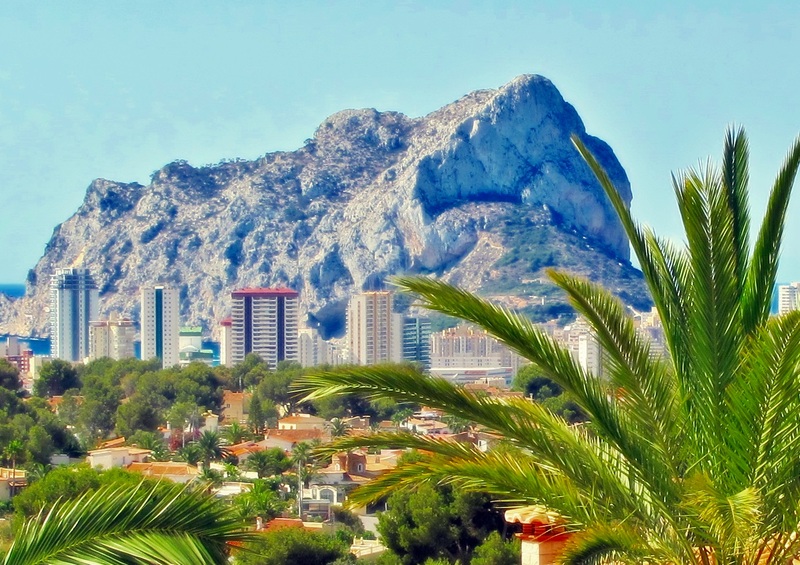 With vast beaches, super theme parks, great nightlife, glorious mountains, traditional little Spanish villages and bustling cities, there are so many reasons to buy property in Alicante. 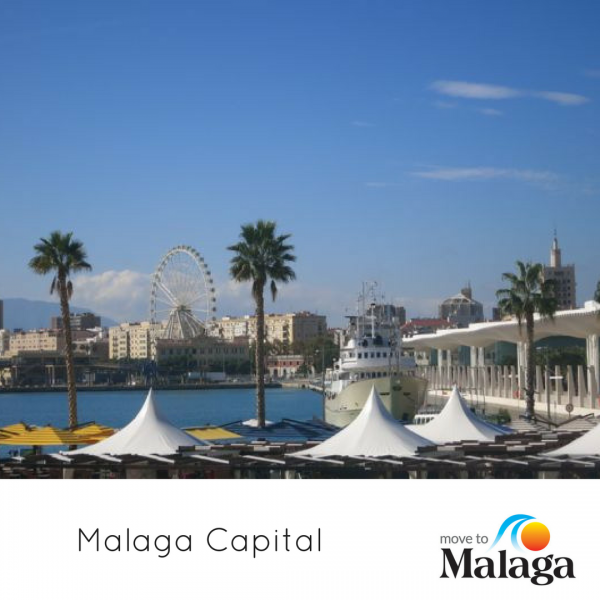 Malaga is Spain’s fourth busiest airport since it serves the city and the entire Costa del Sol resorts. It’s another favourite with budget airlines so you can enjoy an affordable flight to your chosen destination. 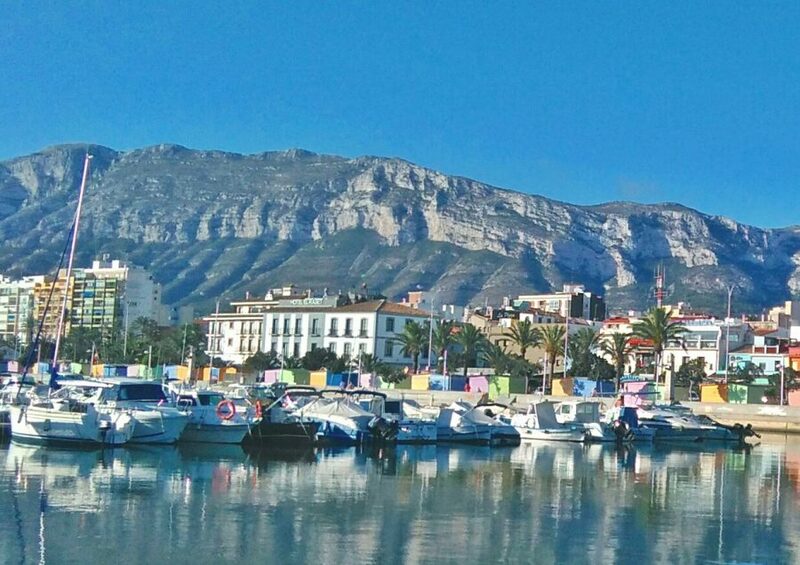 The Costa del Sol is a long favourite with British expats and holidaymakers who can choose from the `fun in the sun’ resort of Fuengirola to the chic Marbella resorts and everything in between. With endless sunny days, an average temperature of 26oC in August and a lovely 12oC in January, it’s no wonder that so many people head to the Costa del Sol throughout the year. As well as topping up the tan, people love the region for its countless golf courses to test all handicaps as well as amazing water sports facilities, particularly around Marbella and the swanky Puerto Banus. Many people are also fascinated to learn there are impressive ski resorts in the region. It takes about 90 minutes to drive to the Sierra Nevada for skiing or snowboarding. It seems incredible that you could be skiing in the snow in the morning and then one hour later be having lunch on the beach – but it’s absolutely true! 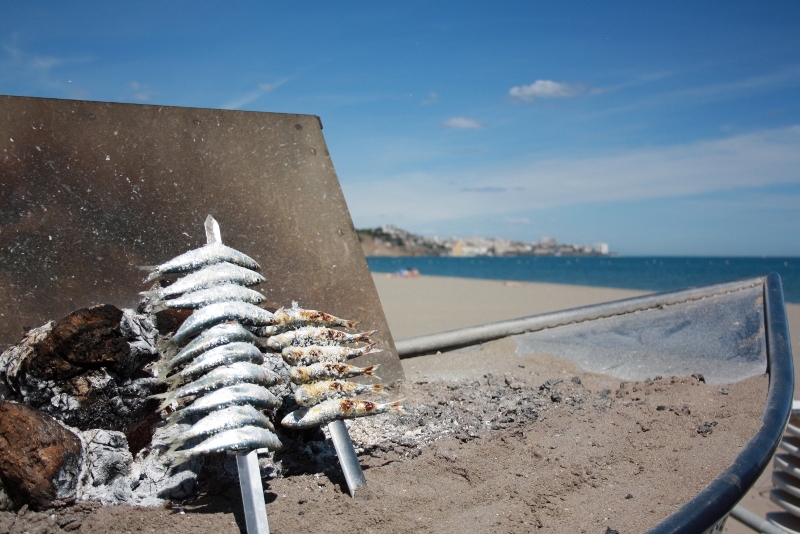 Food lovers can sample fresh fish or shellfood straight from the sea; or try the cold gazpacho or salmorejo soups to beat the summer heat; migas made with bread, garlic and olive oil; or rabo de toro (oxtail). Simply delicious! 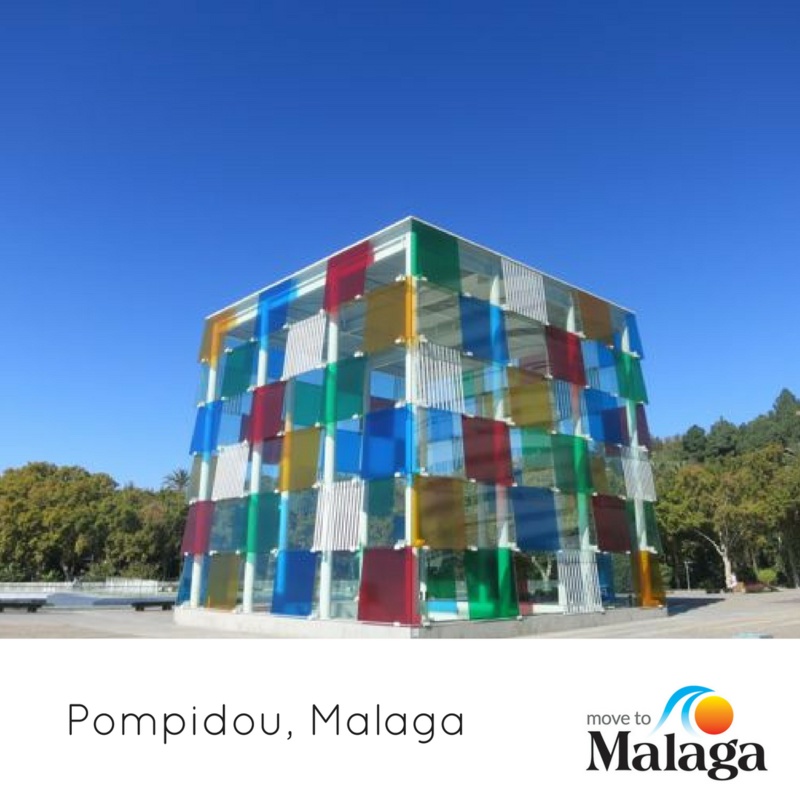 With its selection of beach resorts, mountains, white villages, historic cities, culture and friendly welcome, it’s no wonder so many people are looking for property in Malaga and its surrounding district. If you are looking for property in Malaga or Alicante, please take a look at the Move to Malaga website for further information. Our contact details are there so you can get in touch to let us help you make your move to Spain. 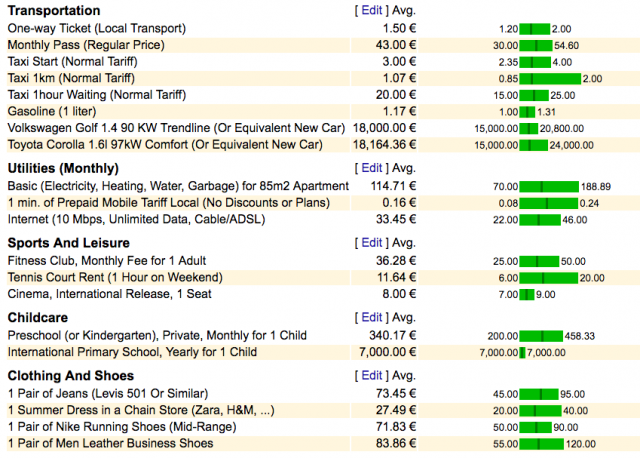 How To Calculate The Cost Of Living in Spain For You and Your Family! New Series: What Is The Real Cost of living in Spain? Welcome to our new series of posts looking at the cost of living in Spain. 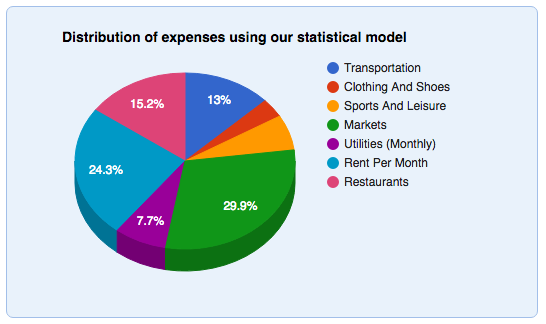 In this introductory post, we will inform you of general costs and provide you with great sources of information that you can use to calculate your own budget. When talking about why they made the move to Spain, many expats will say the quality of life is one good reason while others point to the sun which seems to be constantly beaming down from the sky. Great food, endless fiestas and friendly environment are also major attractions. Pensioners find their money goes further in Spain than in the UK and other north European countries, despite the poorer exchange rate compared to a few years ago. However, workers, unless they are self-employed with most of their income earned from outside Spain, will find the wages to be disappointingly low. That said, it is still fair to say your money goes a long way. For most people, the cost of living in Spain is generally lower than in their home country. As we mentioned, in future articles we will be looking in detail at the cost of living in the top Spanish destinations for expats but now we are going to give a general overview of how much you need to live in Spain. Living costs vary between the regions and from resort to resort – the top cities of Madrid and Barcelona are expensive but Spain’s third largest city of Valencia is surprisingly cheap. Likewise, the Balearic islands and swanky resorts such as Marbella will cost more than living in Torrevieja or Malaga. It’s worth bearing that in mind if you are still unsure of where to move to in Spain. You will find that some of the most expensive Spanish cities also have the highest incomes. For example, the cost of living in Barcelona is 30.17% higher than the national average, San Sebastian is 27.85% higher and Madrid is 22.72%. However, while. the average salary in Spain is about €23,000, in Madrid, it is €36,000, €33,000 in Barcelona and €29,000 in San Sebastian. Figures also show the cost of living in Madrid or Barcelona is still 40% cheaper than London. These data are based on 26070 entries in the past 18 months from 2114 different contributors. 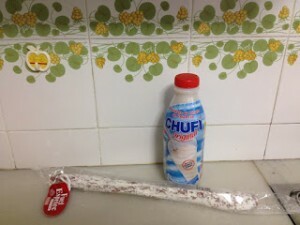 It goes without saying that you’ll also need to adapt to your new life in Spain, particularly when doing the weekly grocery shopping. Buying everything in one large supermarket is often not the best option. In Spain, the indoor markets are great for buying fruit, vegetables, meat and fish. This is simply because you can buy as much or as little as you want – no pre-packed stuff there! Take your time with the food shopping. Visit new places and embrace the change. 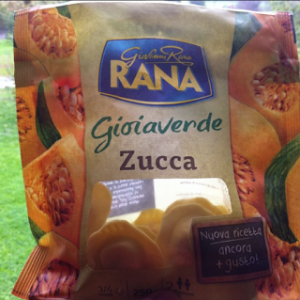 And it goes without saying, that you should always try to buy fresh products that are in season. What you will find, in almost all parts of Spain, is that it’s much more affordable to go out to eat – and a that is a great way to start integrating. Cost of internet packages vary along with the speeds but, thankfully, fibre optic is making a breakthrough in many areas. The best deals are with Movistar, Orange and Vodafone, although you’ll need to check what their coverage is like in your area. You may also find firms in your area offering packages too. 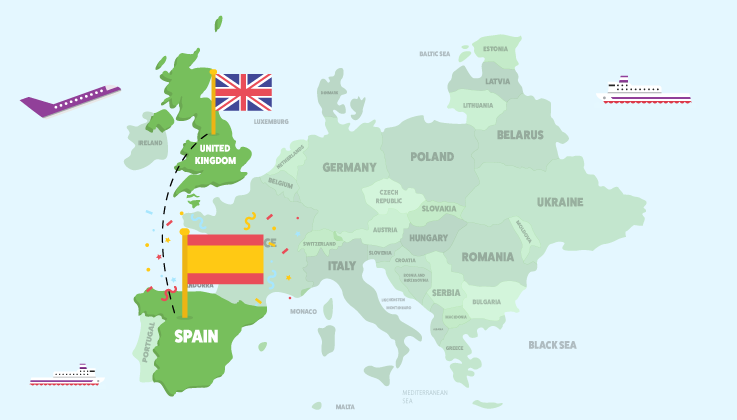 If you think your children would benefit from being taught in English or following the British curriculum, you will find many private international schools in Spain. There is more information in our articles about international schools in Malaga and Alicante. Rent can be anything from about €450 to over €5000 (subject to your requirements) and location. 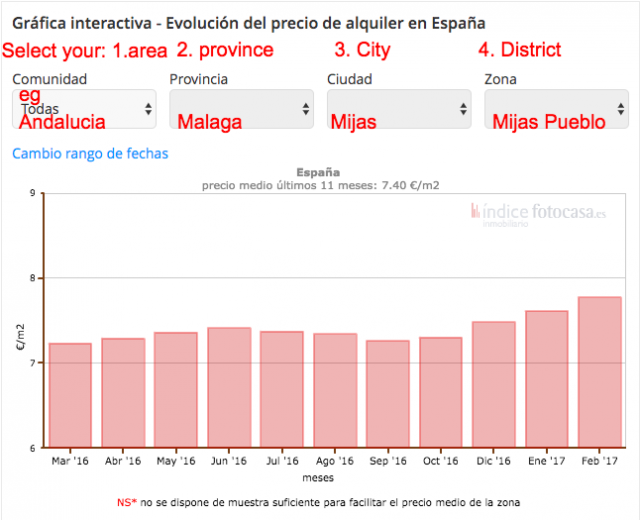 For researching rental prices in different areas, the best online sites are Kyero, ThinkSpain and Idealista. TIP: Rent prices are rising and good rental properties are difficult to find. Be ready to act quickly as soon as you find something you like! You should budget for a further €1,800 to cover these annual bills. any insurance needed such as public liability insurance. 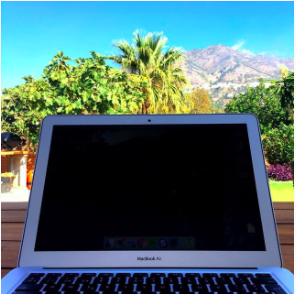 You can read more in our articles about the costs of setting up a business in Spain as a freelance and whether it is such a good idea or not. 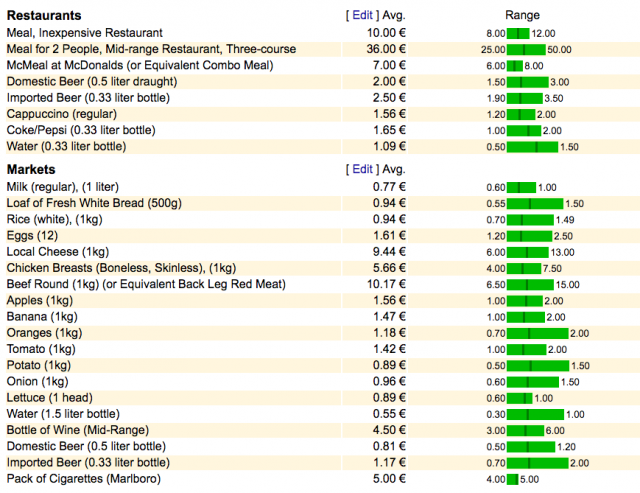 As you can see, many costs are fairly low in Spain, especially the fun ones such as having an after-work drink or dining out. When you add the other benefits of living in Spain such as the sheer beauty of the country, the crazy fiestas and the attitude of the locals, it’s worth every penny! 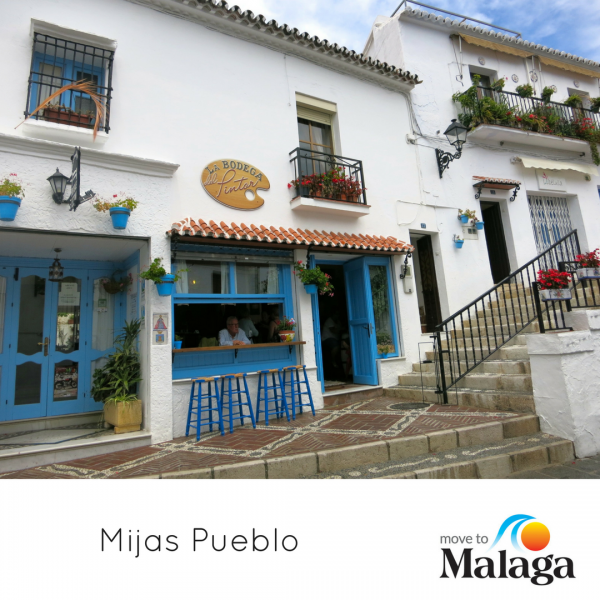 Take the first step towards living in MALAGA or ALICANTE. Contact us now! Let’s get your relocation off to a great start by helping you calculate and hence budget for your own personal cost of moving to Spain. People move to Spain for many reasons. the quality of life is ideal for people of all ages. While the day-to-day expenses and property prices are certainly much lower than in the UK and other north European countries, there are other expenses to budget for before packing your bags and flying to Spain for good. 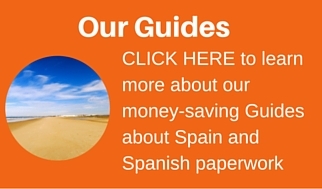 To help you calculate your cost of moving to Spain, we have listed the main expenses while you are researching your relocation as well as for when you first arrive. We have also made a handy calculator so you can work out your own individual cost of moving to Spain. Before you relocate to Spain, you’ll need to select and check out different areas. We recommend at least two or three visits before you move to Spain. Visiting at different times will highlight issues such as a potential area bustling in summer but a total ghost town in winter. The location is always the top priority. Use these trips to get to know the transport links, what the area feels like, how the schools compare, whether you like the local bars, restaurants and shops. Once you select a particular area, you can start looking for property. You will, therefore, need to budget for flights for you all at least twice, maybe three times. We recommend avoiding peak summer, Easter and Christmas. Not only are flights expensive at these times, schools are closed and rental agents will be reluctant to organise property viewings. Use a comparison flight booking site such as Skyscanner to see the best flight deals and, if you live close to an airport, the earlier or later flights should be less expensive. Set Up Flight Search and Save Money! Budget for Car hire. You will need a car if you are really going to explore every part of your chosen destination in Spain. Prices vary a lot, from €20 for three days to more than €100 and, while it pays to shop around for the best deal, it may pay to stick to the companies you know and trust. Budget for Food. Supermarket shopping if you are in an apartment or dining out. We would suggest it’s ideal to eat out a couple of times at different places, so you can start looking for your favourite restaurants and start integrating with local residents. Look out for the lunchtime set menu (menu del dia) as these are great value and can cost from €8 or even less. You will need at least €20 per day per person for food and drinks. Budget for Spending money. On top of this you will need some cash for extras such as petrol for your hire car, bottled water, sun cream and a few other essentials. A further €20 a day should cover these, depending on how much petrol you use – at the moment it’s about €1.23 a litre. Unless you really know an area, it is strongly advisable to rent before buying property in Spain. This is another big expense. In most parts of Spain, you will need to pay at least one month rent, a deposit plus a fee to the agency for finding the property for you. Contracts vary so always read them through thoroughly or instruct a solicitor to have a look. It is not unusual to pay a deposit equivalent to two months’ rent while agency fees are often one month’s rent. So if your rent is €500, your initial outlay could be €2,000 (one month rent in advance + agency fees + deposit). Long-term rents are usually for one year and if you cannot supply adequate references or a work contract, you may be asked to pay the full 12 months in advance! If you decide to buy a property in Spain, you will need to add an extra 10% to 15% on top of the purchase price to pay for expenses and taxes. Transfer tax – this is paid on second-hand homes and varies from region to region. It is usually about 8% of your purchase price. For new builds you will pay IVA (equivalent of VAT) at 10%. If you are taking out a mortgage, there are additional fees for setting up the mortgage and legal fees of 1% to 2% of the property price. 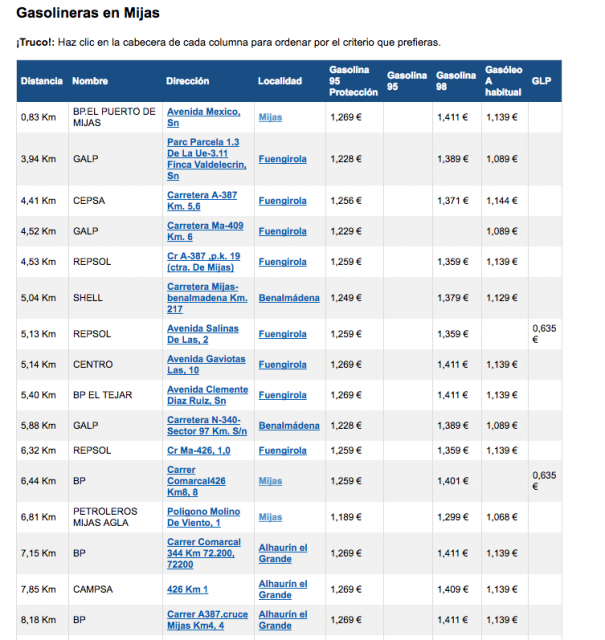 If you are not paying into the Spanish social security system (ie. you are self-employed in Spain or have a Spanish work contract) you will not be eligible for a Spanish SIP card to access the public health system. You will need private medical insurance. Unless you have a pre-existing medical condition, private health insurance may cost less than you think. Obviously, the rates vary a lot depending on how much cover you require and your age. As an example, a healthy person in their 30s may pay around €40 a month. It can be €100 or more for older people. You can also opt in to get a SIP card which will cost €60 a month for under-65s and €157 for 65+. You will also need insurance for your household contents. For this budget around €100+ annually for a basic package. Budget also for vehicles. Pet insurance is another option – that is around €15 a month – but you may find your vet has an annual plan of about €100 which covers an annual check-up and injections. Bringing furniture over to Spain can be expensive with quotes of between €3,000 to €7,000, depending on the size of your house and how many items are being loaded. A cheaper option is to hire a van, using a one-way van hire rental option, if you don’t have too many belongings. 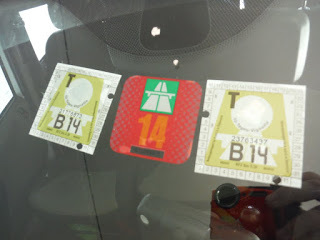 Even then you have to factor in the insurance, petrol and tolls, overnight stays or the cost of taking the ferry from Portsmouth or Plymouth to Santander or Bilbao and then driving halfway through Spain. Moving to another country is a good opportunity to declutter – you could hold a garage sale or take part in a car-boot sale to help finance your trip. Also, some furniture from the UK will not look right in Spain, so you may want to buy new. Obviously, you will not want to get rid of personal belongings so it pays to look at removal companies which take part-loads or look at other options. For instance, British Airways will let you take 10 suitcases per person with prices ranging from £36 to £120 per piece of luggage when booked online and £40 to £140 if booked at the airport. You could also check out luggage shipping companies which can cost from £41 for each bag. Factor in the costs of your final one-way trip to Spain for all the family. If you do not have much luggage, then flying will be the cheapest option. Otherwise, you can drive through France and Spain, trying to avoid as many toll roads as possible as these can be expensive. Just the trip from Calais to Alicante, for example, will cost €298.66 – €127.10 in tolls and €171.56 in fuel for an average family car – and will take 17 hours 30 minutes to drive 1,848kms. Catching the Brittany Ferry from the UK to Spain is less stressful and can cost from £229 for two adults, two children and a car one-way. With a pet, it can cost from £258.50, so just a few pounds more. The onward journey to Alicante will cost a further €106.86 – including tolls of €31.70, and €75.16 fuel. If your dog, cat or ferret does not already have a pet passport, it is essential to start planning this well in advance. They will need the passport to show they have had their rabies injection and are microchipped. One vet is quoting £14.50 for the microchip, £42.80 for the rabies vaccination and £20.00 to issue the passport, so a total of £77.30 for a dog. While another vet charges £115.26 for the passport. Other vets may charge more, so you should always ask for a quote. The costs are about the same for a cat. There are companies who will transport your pet to Spain but we think it is less stressful for them to be with you. Many hotels will accept pets so there won’t be any problems when you drive over with them (ensure you pre-book these in advance). The ferries have kennels at the top of the ship and some have pet-friendly cabins – there aren’t many and they get booked quickly so secure your cabin as soon as you know your moving dates. They will be taught Spanish along with English but can follow the British education system, which will be familiar to them. Moving country and finding new friends can be difficult enough without having to learn subjects such as maths or science in a new language. Costs vary depending on their age and the school but budget for around €500 per month for nursery or primary education up to €1,000+ for secondary schools. On top of this, they will need a new uniform and to pay enrollment fees. Enrolment fee could be another €500 and the school may ask for a similar amount as a deposit too. If you are renting and, therefore, not bringing all your belongings over until later, you will need a few items for your home. Although the house will have all the furniture and kitchen equipment you need, you may want to buy sheets, towels, duvets and pillows. The larger supermarkets are the cheapest places to go shopping unless you have a Primark nearby. Allow for a further €200 for a family of four for these items. Your first shopping trip is going to be more expensive than usual as you will have to restock everything in your kitchen cupboards and bathrooms. Salt, pepper, butter, olive oil, herbs, spices, tinned goods, milk, coffee and tea are some of the essentials on the list along with washing-up liquid, cleaning products, shampoo, shower gel, moisturiser, sun cream and shaving foam. This can easily add up to another €75 to your final bill. Now you’ve moved in you will want to keep in touch with friends and family back home as well as find out all the news in your new hometown. That means sorting out your mobile phones, internet and satellite TV. Internet packages vary and not all companies can cover all areas, so check who can provide good internet speed in your area and then ask for quotes. With your mobile, you can change your SIM card to a Spanish one rather than invest in a new phone. Vodafone and Orange are available in most areas while Telefonica/Movistar have the most extensive coverage. You will also find English firms offering good deals in phones, internet and TV packages such as Freeview or free to view packages through the internet or a satellite dish so you can watch your favourite programmes on BBC and ITV among others. Mobile phone and internet charges can be from €20 a month, depending on usage and speed. For a landline, mobile and fibre optic with Movistar, will be about €80 a month. British TV can also be provided for a setup fee or others charge a monthly fee, also about €20. Satellite TV, such as Canal+, is expensive – about €60 monthly – and, although Sky cannot officially be set up in Spain, there are ways around it. You will be charged for the dish and box to be set up – say €100+ – and then have to pay your monthly subscription as usual. There are always unexpected extras when you move home, such as the TV packing up or you realise you left something behind. It is, therefore, worth having at least €250 put by for these minor hiccups. 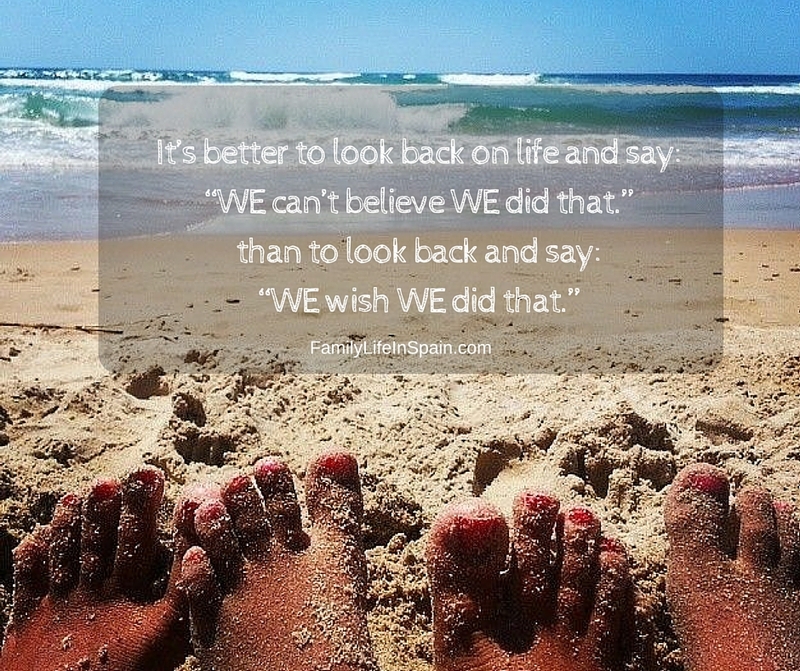 Then, if your careful planning means your move to Spain runs smoothly, you can treat yourself to a day out to celebrate your new life in Spain. Simply access the spreadsheet, make a copy of the file to save on your own PC, input the values in the YELLOW cells and the sheet will do the rest for you. Select “File” and then “Make a copy …” You can then access and edit the tool whenever you need to. We hope you find this information useful. We’d love to receive your input and feedback in the comments … If you have ideas how to improve the tool, please let us know! Moving to Spain is not cheap, nor always easy, but is it worth it? 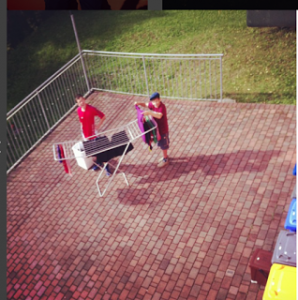 Our Instagram photos may give you an answer 😉 Have a look! CONTACT US about Your Move to Spain! 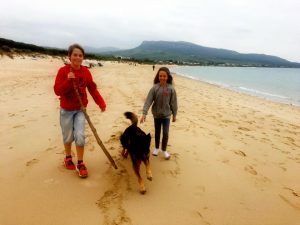 As a regular reader of our blog, you will know that we are always sharing our stories and reasons why Spain is great for kids to live and to grow up. If you read any of the interviews we have given (links on our About Us page) you will see many of the reasons why. In this article, we will share, not only our reasons, but also many other people’s opinions on this matter. We are not comparing Spain in contrast to any other country. We are merely sharing opinions on Spain. Safety: Spain has a relatively low crime rate. Parents do not live in fear for the safety of their children. It is wonderful to have strangers in the street come up to your children, to talk to them, embrace them, even to take your baby out of your arms. (I can imagine some parents cringing at this very thought). Language-Learning: Expat children living in Spain grow up learning at least two languages. Their mother tongue, Spanish and other local languages, depending on where you live. There are believed to be many advantages to learning more languages and we believe it to me an amazing gift to give to a child of any age. Outdoor Lifestyle: Thanks to the weather, in most parts of Spain and particularly in the South, more time is spent outdoors than indoors. Sports facilities are in abundance in all villages and towns. Playing on the beach, or in the open countryside, in clean fresh air, is a normal occurrence rather than a rare holiday treat. 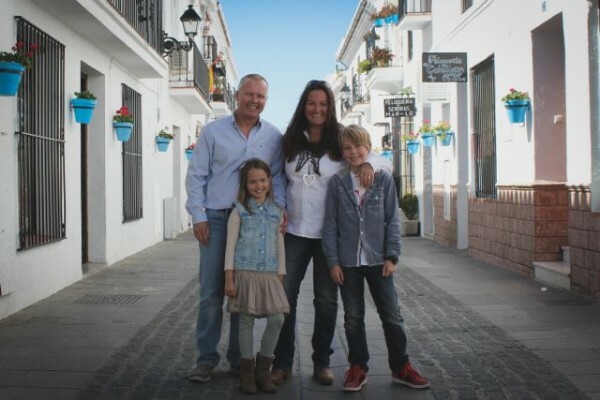 Family First: The family unit in Spain is generally very tight. Children grow up with great respect for family members and appreciating the family unit. They develop a special pride in their family. Respect for elders is inherent.Woe betide the niño who does not instantly give up his seat for an Abuelita Click To Tweet Even though, children may not see some relatives as often as if they lived in the same country, when they do meet up they enjoy quality time together. Great Food: Living in a different place is a great opportunity to encourage children to try new foods. You can see some of our children’s favourite Spanish dishes in this post (click here). “Children’s meals” are not typical in most Spanish restaurants. It is more typical for families in Spain to share plates of food. Meal times are often family times. Fast food is yet to impact Spanish eating habits. How often have you seen people walking down the street eating their lunch in Spain? Holidays: Spain is famous for its ferias and festivos. There is often any excuse for a holiday in Spain. Although it may be more challenging for some parents, based on their work schedule, for those of us who work for ourselves and have flexible working conditions, regular holidays are part of the routine. What child doesn’t enjoy a holiday? Whether it’s a week at home with more trips to the beach or fun family days out, the children enjoy more family time. Children are Welcome Everywhere: Ok. There may be some exceptions. But, in general, you will not need to worry if your children will be welcomed in most establishments in Spain. No matter what the time or location, your children will be not only welcomed but welcomed with open, loving arms. Karen Carter Southall (@weddingsaboutsp) The climate offers a more outdoor lifestyle, where the countryside or the beach is often their playground and imagination, is the key. Family values count and diet is generally healthier. Pete Carter: Clean air, fresh living, mixing with nature, outdoor activities that aren’t rained off, fresh produce (inland anyway). Diana Berryman (@soc1albutterfly) Kids get a chance to still be kids here. There is less pressure to grow up too fast, family values are still strong and kids are still respectful of their parents and grandparents. Mike Cliffe-Jones (@mikecj) Warm, safe, family focus, sporty, outdoor, lack of cynicism. Sarah Hawes: Its safe, food is healthier. People are outside in the fresh air more. The need to constantly be in fashion is not a priority …. and … they respect their elders. So lots to aspire to. 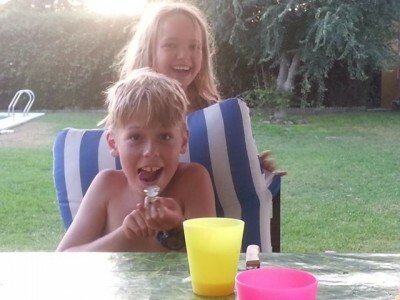 Maya Middlemiss (@casslar) Children are at the heart of Spanish culture, and welcome everywhere – not marginalised or excluded as they can be in the UK. Richard Middlemiss: For the kids, a safer less paranoid society where it’s ok to enjoy kids, even to pat them on the head or hug ’em even if they’re not your own….not that I’d do that to the ‘orrible little tics of course! They have a longer childhood but in a lot of ways a less inhibited childhood certainly than I had. They are multilingual and see sunshine almost every day. Ok it’s not Newcastle but it’s not bad! Marina Nitzak (@luksmarbella) Safe, happy, family and outdoor based environment and activities, local authorities that constantly improve public facilities, multicultural open-minded atmosphere where from early age kids learn languages, international traditions and share their heritage at the same time. Very entrepreneurial and positive in encouraging youngsters to take initiative in their own projects too. But most of all I think I have to come back to safety and security, absolutely priceless for parents I think. Fiona Flores Watson (@seville_writer) Cheap, good food, no “kids’ meals” nonsense, lots of sunshine, can play outdoors, embraced by society. 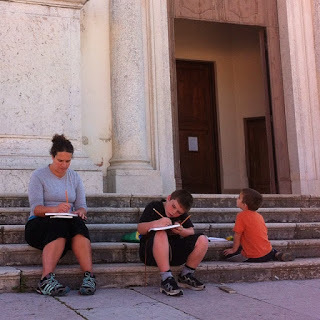 Heidi Wagoner (@wagonersabroad) A simple, family friendly lifestyle. Back to the roots of family time, outdoor time getting out on the paseo for social time and a great sense of community. Kids are allowed to be kids and are accepted everywhere. John Wolfendale (@johnwolfendale) You are heroes just for having children eg people make space for you in the supermarket queue, you get tolerance even support in restaurants, the idea that children shouldn’t go in a restaurant seems madness (or even in the UK weddings!!! weddings without children…how crazy is that when its the whole point of getting married!?! ): health service, doctors will see children on the same day nothings too much trouble: respect for the family and for elders, no yob culture (although they are learning this from the northern europeans): food mediterranean diet so much healthier eg every meals starts with a salad and no butter, strangers will smile at talk to play with your children no like in the UK where if you smile at a child the police will come and arrest you, entertainment, the mountains, the beaches, the rivers all a few minutes away not a major traffic jam away. Climate for being outside most of the time, family events happening all the time: being cuddled I confess I teared up when the teacher gave my boys a hug when they came back from the summer holidays. I was lucky to get the cane. What do you think? Tweet us your thoughts to @FamilyInSpain and feel free to share this post and ask your friends for their opinions too. 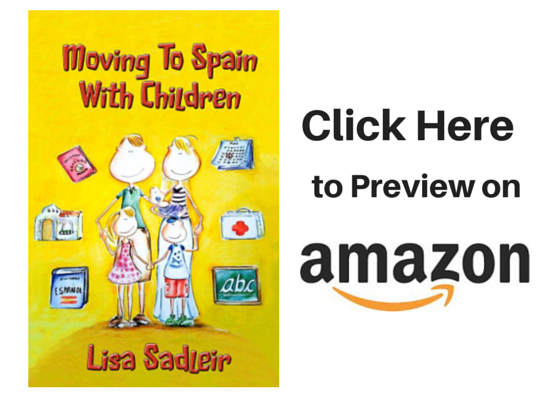 If you are thinking about Moving to Spain with Children, check out our book on Amazon HERE. 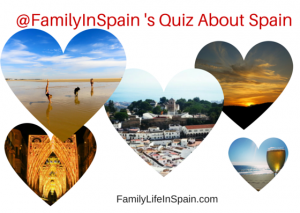 Post by Family Life In Spain. Don’t waste time worrying. Start researching now. Ask Questions. Find answers. 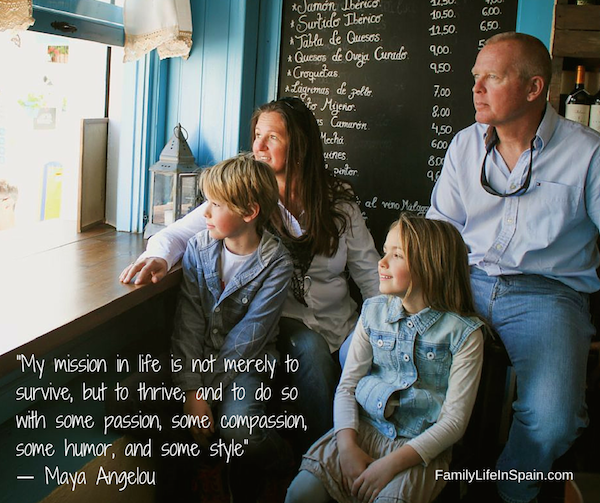 It’s all part of the incredible journey of Moving to Spain with Children. 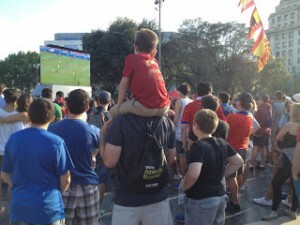 Is you child too young or maybe too old to move to Spain? Are you certain they will cope with a huge change in their life? Research weather patterns, local holidays and school term times before planning flights and removal dates. Why are you thinking about moving? Is this the best time, not only for your children, but also for you? Whether you are looking to invest money in a property or a simply looking for a rental property, choosing the correct location is fundamental to, not only the success of your move, but also your future happiness in your new home. This is also why I encourage you to rent before buying when first starting a new life in Spain. Yes, I agree that rent can be dead money. However, until you are certain you have the correct location for you, the dead rental paid will probably be a lot less that the expense incurred by the purchase of the wrong property. If, however, you have visited a place many times, at different times of the year then buying a property may be a suitable option. Just don’t rush into it. In my opinion, too many people move to Spain without learning to speak Spanish. I’m not saying you need to be fluent, but I am suggesting that it should be a personal goal to at least make a really big effort. 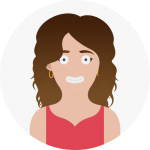 Being able to at least start a conversation with a Spaniard, in their own language, will truly enhance your chances of integration and open so many more exciting doors for you. Invest in some dual language Cd’s to watch with your children. Play online language-learning games. Use flashcards … There are so many great methods for language-learning these days. Watch out for our free Spanish language-learning articles, coming very soon. One of the first decisions about education is usually whether to enrol your children in a Spanish state school or a private international school. The availability of state schools and international schools in Spain varies by region. It is really important to carefully research the schools in the area you plan to make your new home before you plan your move to Spain. In some areas of Spain, it can be difficult to secure places in a school, before having an address in Spain. Speak to the schools you are considering before making any definite decisions about your property. Spain is very different to many other European countries. Too many people move over here with the “But, back home they …” attitude. Do yourself a huge favour and leave that attitude (if you ever had it) behind.Be prepared to slow down. Get ready for a more relaxed pace of life. If it doesn’t get done today, it will get done tomorrow or maybe the day after! Stressing about it will not get it done any faster. Get a Copy of OUR BOOK and let us do a lot of the work for you! 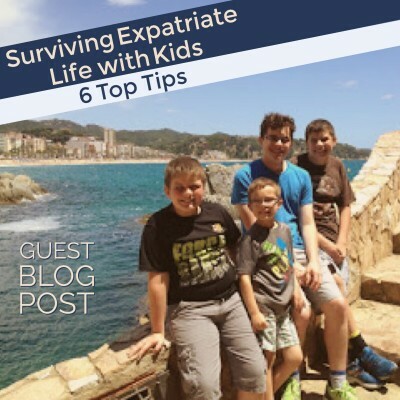 The above tips are a quick summary of only a few of the many issues we cover in our guide Moving to Spain with Children. To read some of the lovely reviews people have sent in, and to have a look inside at what essential topics are covered, pop over to Amazon (click here) and have a look. Let us make it easier for you … Read more here! 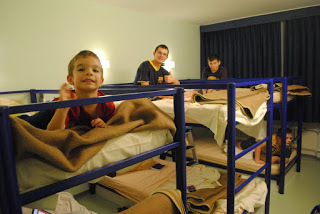 Moving Abroad With Children. Our Story. Is It Luck? Many people think about moving abroad with children, but not everyone fulfills their relocation dream. There are so many uncontrollable outside factors. There are, however, many other factors that you can control. 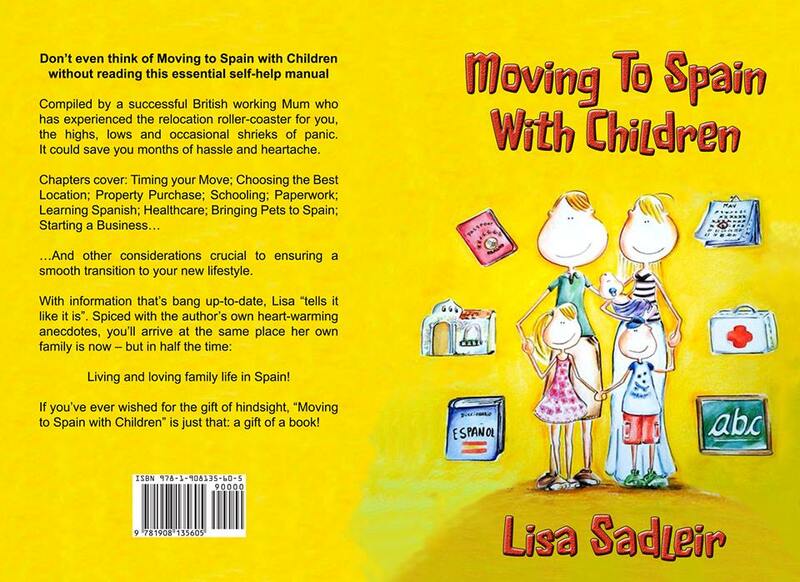 I have received so many beautiful comments, reviews and emails from my recently published book Moving to Spain with Children, that I am planning a second book. Book one was written to assist people in the decision-making process when thinking about moving to Spain with children. It was not written to sell the dream. It includes essential information and personal anecdotes. My second book will share our love of this wonderful country, where we have chosen to enjoy our family life. Spain is such a wonderful place for children to live and grow up. It will include more practical and essential information and a few more personal stories. Today, I would like to share the opening chapter with you. I remember the moment well. I was stretched out on the rocks, soaking up the Mediterranean sunshine, on the island of Malta. I was enjoying a week of sun worshiping with mum and a close family friend. It was early afternoon, the rays were beating down, the only sounds were the occasional splashes as the waves gently lapped against the rocks on which we lay. And then they arrived. The same group as yesterday. Shrieks of laughter and excited chatter, at a rather loud volume, broke our relaxed silence. A group of young children hurtled onto the beach, discarding any excess clothing as they ran and launched themselves into the crystal clear waters. School was over for the day and this was their way of spending the summer afternoons. Although only twenty years old, that was the moment I realised that that was the kind of life I wanted for my own children. The actual thought of one day getting married or even having children had never actually entered my mind. But the seed was planted. I’m known for planting seeds. That day in Malta was back in 1990. 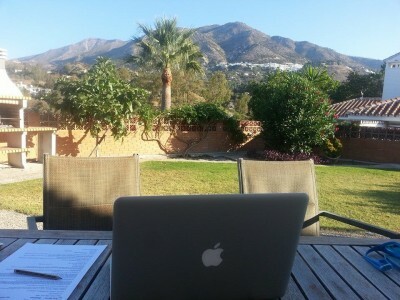 As I write this, November 2014, I am sitting in the midday sunshine in my garden in southern Spain. I am anxious to get finished as my two amazing children will soon be home from school. My work will be put aside and we will sit down at the table to enjoy our main meal of the day, as a family. As in many Spanish households, our main meal is enjoyed at lunchtime. On weekdays, my husband collects the children from the school bus at around 2.20pm, they walk the 5 minute stroll back to our house (funnily enough we are the only ones who walk, this is commented on by all the elderly neighbours), and we all sit down to together to eat, discuss the day at school, homework and make plans for the afternoon. The seed that was planted 24 years ago developed incredibly strong roots and is now producing a bumper harvest. A harvest big enough to be enjoyed and shared by many. A harvest full or experiences, knowledge and roller coaster rides. I hear myself saying “we’re really lucky because…” when talking about our children, our life and what we do. Yet, in all honesty, “luck” is only a very tiny part of the big truth. We never take what we have for granted. Most days I hear the children chiming “Yes mum. You always say that mum”, giggling, as I point out how blue the sky is, how amazing the sunset is and how big and blue the sea looks. In Spain, family comes first. Children are not only seen but also heard and welcomed with loving, open arms. Children stay children for longer. When we chose to have children, we chose to change our lives. Living here allows us to do this. Would we call that “luck”? 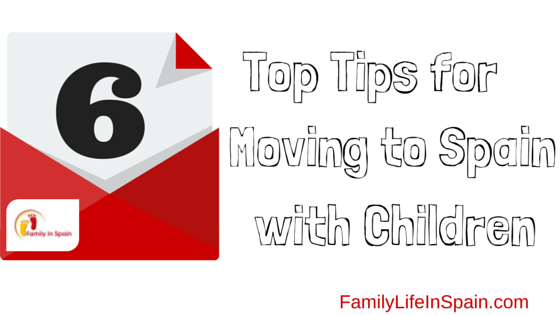 Do you remember the moment when you knew you would be moving abroad with children? When you decided you wanted to offer your children a better life, by moving to another country? We’d love to hear your story. If you are moving to Spain and are considering the Malaga, Costa del Sol region, Contact Us now. If you are thinking about moving to any part of Spain, Look Inside our Book and send us your questions. We are here to help you get it right first time. Using A Good Currency Broker For Sending Money To Spain And From Spain Can Save You A Lot Of Money! With the current volatility of the currency markets it is more important than ever to make sure you maximise your money. Exchange rates are moving around a lot more than normal so it is key to have not only a currency broker on your side that can get you a great rate of exchange, but also one that is proactive and will make you aware of any opportunities that arise. I recently had to exchange some Euros into Pounds to make a purchase in the U.K and for many years I have been using and recommending Daniel Wright from www.currencies.co.uk to all of my friends and clients. By using Daniel, on this particular transaction, I saved over £1000 on the exchange and also saved roughly another £800 by timing my transfer and buying at a good time. Those of you that still use banks should seriously consider getting in touch with Daniel to see how he may be able to help you too and those who are already using a currency broker should also get in touch to see how much he can save you. I have dealt with many currency brokerages over the years and he has been head and shoulders above the rest in terms of his price and efficiency. The Pound has had an awful run of late and Sterling exchange rates are down against all major currencies and with the referendum on the ‘Brexit’ causing major uncertainty out there for the U.K economy it is likely that investors and speculators alike will steer clear from the Pound in the coming months. If you are in the position that you need to carry out an exchange in the near future then feel free to contact Daniel for a no obligation chat or a free quote on djw@currencies.co.uk or by calling him on 01494 725353 quoting Family Life In Spain and he will put you down for the preferential exchange rates I have negotiated for our readers. Contact Daniel and Start Saving Money Now!